The Advances in Cancer Research series provides invaluable information on the exciting and fast-moving field of cancer research. 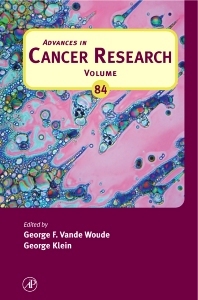 This volume presents outstanding and original reviews on a variety of topics, including gene expression in inherited breast cancer, multiparameter analyses of cell cycle regulation in tumorigenesis, Rho GTPases in transformation and metastasis, the myc oncogene, genetic requirements for the episomal maintenance of oncogenic herpesvirus genomes, treatment of Epstein-Barr virus-associated malignancies with specific T cells, the role of glycogen synthase kinase-3 in cancer, chronic immune activation and inflammation in the pathogenesis of AIDS and cancer, and molecular biology of Hodgkin's lymphoma. Researchers and students in the basic and clinical science of cancer biology and oncology, plus related areas in genetics, immunology, pharmacology, cell biology, and molecular biology.